Parker v. LEAF RIVER CELLULOSE, LLC, Dist. Court, SD Mississippi 2014 – Google Scholar. The judge here took the section of the law that is intended to shield employers from civil actions if an employee uses their gun and turned the entire statute on its head. The court reasoned that the employer’s violation of (1) by firing someone for lawfully having a gun in their car is an “occurrence” under (5). Therefore, an employer can not be held liable for breaking the law. Clearly an absurd result, but given the pervasive defiance of any law or right allowing for the possession and use of arms by so many lower courts, it’s not surprising that another Judge has chosen to bent over backwards to rule against a gun owner. Therefore it’s not surprising that another court’s Judge has diligently interpreted the statute and constitution to necessarily rule against another court that owns a gun. Given the common and ordinary meaning of the words and phrases contained in the interpreted sentence, no other construction could be considered! Sometimes I’m convinced that law school beats reason and common sense out of lawyers. Diane Roberts: Mixing guns and college kids is a really dangerous idea – Context Florida | Context Florida. Your article proposes no solutions to enhance campus safety. Instead you choose to resort to juvenile name calling, unsupported hyperbole, false statements of the actual positions of the groups that you are opposed to, and the wholesale dismissal of any view that is not in line with your own. Floridians should expect more of the educators who are entrusted to carry out the laudable mission of our institutions of higher education and teach in an environment where the free flow of ideas and healthy debate serve as cornerstones of learning processes that are designed to promote critical thinking and objective reasoning skills. Such obvious attempts to marginalize and degrade anyone who holds views that oppose your own are unprofessional and have no place on our campuses. I implore you to conduct yourself in a manner consistent with the position you hold and with the dignity that we all should expect of a university professor. Rights aren’t subject to public opinion for their existence, but also having public opinion the side of your rights sure doesn’t hurt! There’s this new gun control group called “American State Legislators for Gun Violence Prevention“. The other day they put out a press release announcing that they exist and have “nearly 200 state legislators from both parties, in all 50 states plus Puerto Rico and the District of Columbia”. The press contact for the group is from the ultra-liberal PR and Campaign consulting firm of BerlinRosen in NY. 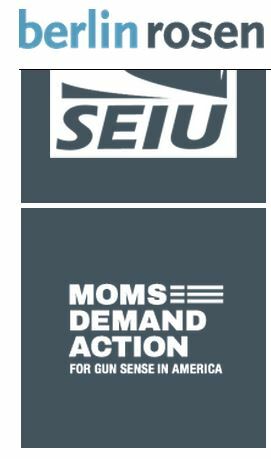 The same firm that does Moms Demand Action. This is just a little too tight of a nexus to be dismissed as mere coincidence. I have no idea yet if Bloomberg money is paying for this, if they are using tax dollars like MAIG did, or who their donors are. Yet. We also have no idea who makes up their nearly 200 state legislators. But as public officials, I’ll find the Florida ones soon. Tomorrow morning at 9am Florida Carry attorneys Eric Friday and Lesley Rickard McKinney will be on “This Week in Jacksonville” discussing Campus Carry. Judy Paul Davie FL QUIT MAIG to SUPPORT YOUR RIGHTS! Patricia Gerard Largo FL QUIT MAIG to SUPPORT YOUR RIGHTS! Lucie M. Tondreau North Miami FL QUIT MAIG to SUPPORT YOUR RIGHTS! Douglas A. Gibson Oak Hill FL QUIT MAIG to SUPPORT YOUR RIGHTS! John Adornato Oakland Park FL QUIT MAIG to SUPPORT YOUR RIGHTS! Dominic Persampiere Oviedo FL QUIT MAIG to SUPPORT YOUR RIGHTS! After experiencing ejection issues with the upper receiver on my .308 AR Core30 rifle, the good folks at Core Rifle Systems, true to their “No BS Warranty”, replaced the upper . This weekend I put over 200 flawless rounds through it. 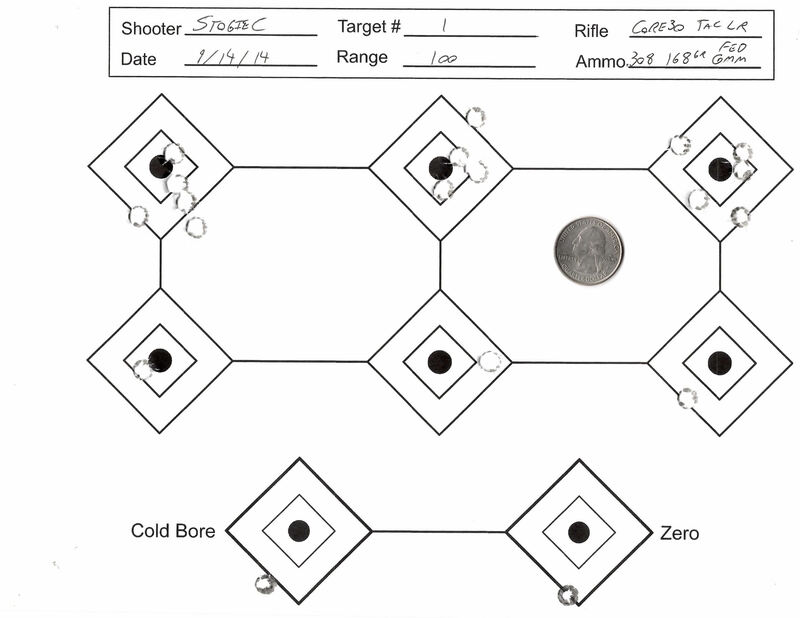 7.62 NATO Fed M1A 168gr OTM, .308 150gr Silver State Match BTHP, Fed 168gr Gold Medal Match, Fed Fusion 165gr, 147gr 7.62 NATO XM80 ball… It ran on everything I could stuff in a mag. 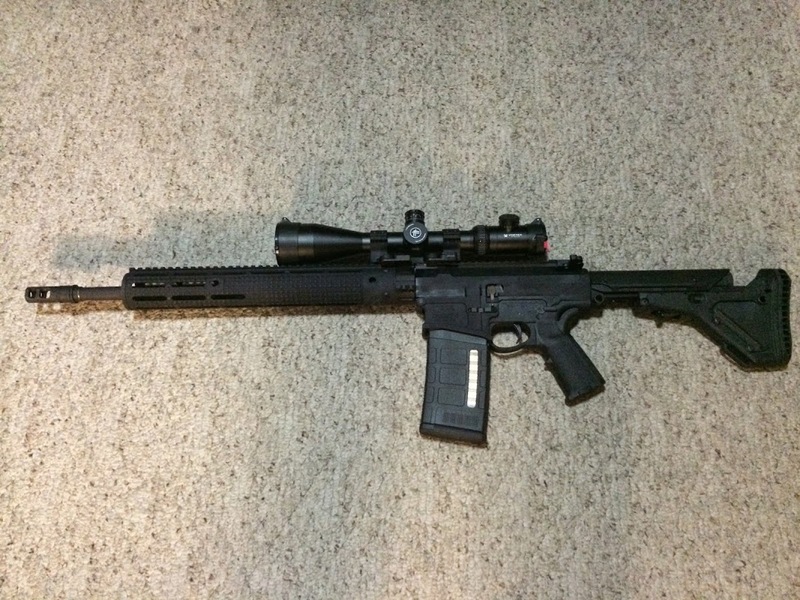 Usually I build my own AR rifles but I have not yet built a .308 type. There were a few things the drew me to the Core Rifle. First was that the machining and finish on the billet receiver set is about as good as you’ll find anywhere. There is zero slop/wobble between the upper and lower. Second was the stock feature set on the Core30 TAC LR. The Core30 is DPMS 308 parts compatible (high rail) and it comes stock with a Geissele SSA-E trigger with an extra power “red” hammer spring, Magpul UBR stock, Magpul MIAD grip, 15″ Apex Gator Grip hand guard including the full length top rail, Surefire SOCOM muzzle break, Core’s own very nice V3 charging handle, and a Match Grade 18″ stainless 1:10 twits barrel. This meant that I would have a bit less work to do and fewer aftermarket parts to purchase to set it up the way I wanted it. 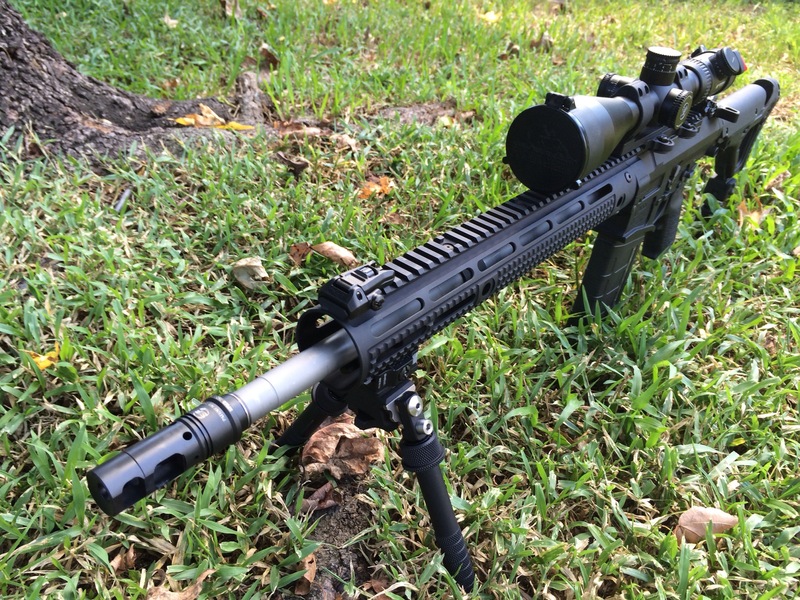 The 18″ barrel length puts it in to a happy medium that I hesitate to call a compromise. Short and light enough to work in close quarters but long enough to keep muzzle velocity up in order to reach out to the fuzzier ends of .308 terminal ballistics at range. I did pop on a Norgon Ambi-Catch mag release, Battle Arms Dev. ambi-safety, and a Raptor ambi-charging handle. Not that it really needed these upgrades, but I do train weak side and depending on my shooting situation, shooting and manipulating the gun lefty has let me take shots that would have been awkward otherwise. 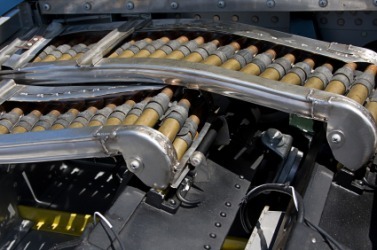 The Seekins Precision mag button improved nothing really… I just think they are pretty. The addition of a bottom rail section on the handguard and a railed replacement strike plate for the UBR rounded out the changes. 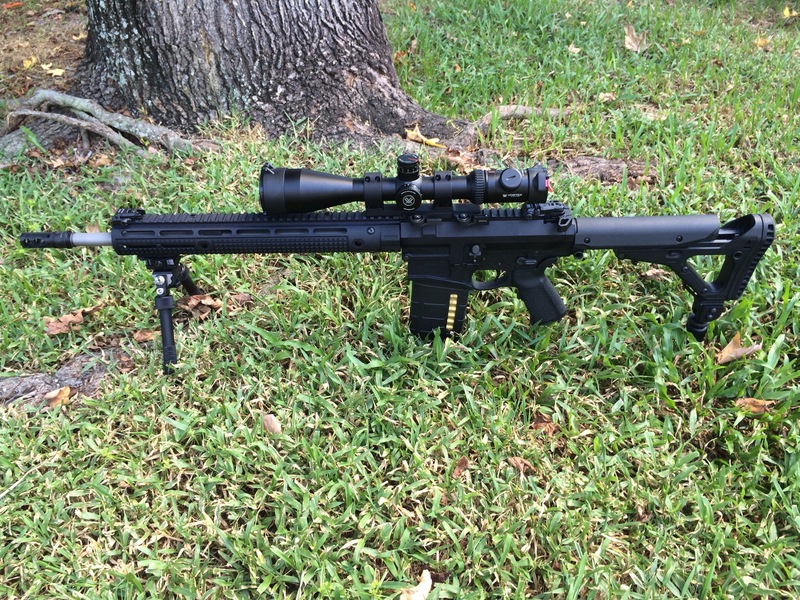 For long range or high accuracy use I attach a QD Atlas bipod, Acco-Shot rear monopod, and a Vortex PST 4-16 x 50 FFP scope in a Larue SPR-S 10MOA QD mount. The bipod and scope are quick detach and the monopod comes off in a few seconds with a screwdriver. If I’m doing closer range or I’m going to be more mobile, I slide a Magpul AFG on the the front, and either pop up the Magpul MBUS Pro sights or slap on my QD EoTech 553. It will all co-witness but that matters little with a BUIS. I’m either on the sights or they are folded and I’m on the red dot. With the EoTech I keep a 3x Vortex VMX3 magnifier in a Larue QD Pivot mount in my bag or tricks for odd-ball longer engagements while in the short range setup. The rifle will shoot sub-MOA groups all day even if I won’t. That’s a tall order for an AR platform .308 that a number of companies have failed to deliver on. Especially at the Core30’s price point. MSRP is $2,800 (minus a penny). Actual street price at your local gun shop is around $2,300 and a quick trip to the usual suspect online shops show at least two sellers offering Core’s flagship at around $1,800. That is a lot a bang for your buck! This is for anyone committed to voting for our Second Amendment rights and the candidates who support us in the primaries today and in November. After you vote in the primary today, take a pic of your holster or gun with your “I Voted” sticker and post it to social media with the hashtag “#gunvoter”. 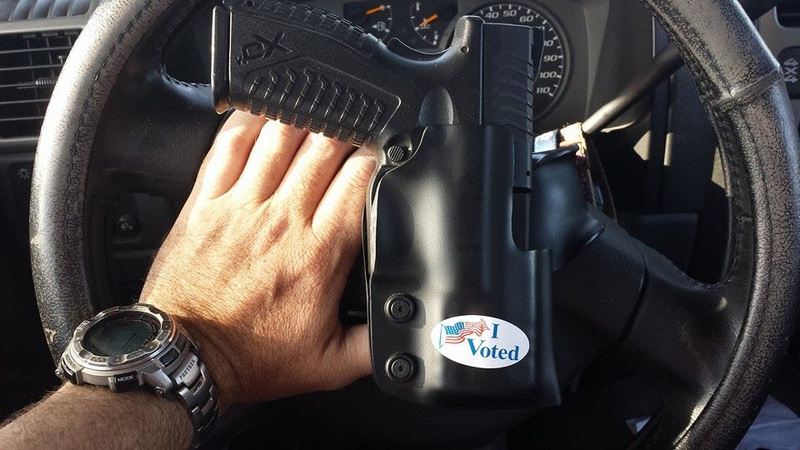 Some are also wearing their empty holster into the polling place to object to victim disarmament zones. On January 10th, 2014 Florida Carry, Inc. filed a lawsuit against the University Florida (UF), seeking a permanent injunction to protect the rights of students, faculty, and the public from the university’s illegal and unconstitutional regulations prohibiting or severely restricting firearms and weapons on all university property including in student’s personal vehicles and in university managed housing. Since 1987 the Florida Legislature has preempted firearms law and issued state-wide licenses to carry concealed for self-defense. In December Florida Carry won a similar case against the University of North Florida (UNF). In Florida Carry v. UNF the First District Court of Appeal ruled that “The legislature’s primacy in firearms regulation derives directly from the Florida Constitution… Indeed, the legislature has reserved for itself the whole field of firearms regulation in section 790.33(1)…” No public college or university has any authority to prevent students and the public from having a functional firearm in places that are constitutionally protected or permitted under state law. The University of Florida has failed to comply with the UNF court’s ruling by doing nothing more than adding an “Intent” footnote to only one of its illegal policies. In 2008 the United States Supreme Court ruled that the right to keeps arms in the home is at the very core of the Second Amendment. Today, (Wednesday July 30th, 2014) Circuit Court Judge Toby S. Monaco granted motions to dismiss and for summary judgement in favor of his alma mater and granted sovereign immunity to UF President Manchen. The lower court Judge ignored the plain language of multiple Florida firearms laws, multiple binding court cases from Florida and the US Supreme Court, turned to blind eye to university policies that are promulgated in continued violation, and refused to conduct any analysis of the right to keep and bear arms. This is the same failure to follow the law and protect the fundamental right to keep and bear arms that we saw from another lower court in our case against the University of North Florida. Prior to winning the landmark Florida Carry v. UNF case that secured the right of students to store firearms in their cars parked on campus in the First District Court of Appeals late last year, another Florida Circuit Court Judge entered a similarly poorly reasoned decision. The Right to Keep and Bear Arms in Florida is under unprecedented attack. Florida Carry is fighting back hard in local government, the courts, and the state legislature but cash and volunteer action is necessary to support this important work. 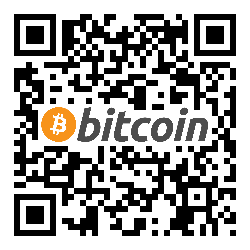 Please donate or Join Today. Subsequent to a stipulation by SAF that a 90 day stay of the ruling that granted constitutional carry rights in Washington D.C. was permissible, the court issued a stay of its ruling. The District asked for a stay of either 180 days or for the entire (longer) length of their appeal. SAF, by stipulating to a 90 day delay of the recognition of rights, gave the D.C. city council time to craft a new carry licensing scheme that will undoubtedly create a less accessible carry privilege rather than a right to carry accessible by all law abiding residents and visitors to our Nation’s Capitol. Victory in Palmer v. D.C. | Reality-Based Litigation. For a while now I’ve been looking for an accurate SR25 variant (AR type .308/7.62×51). 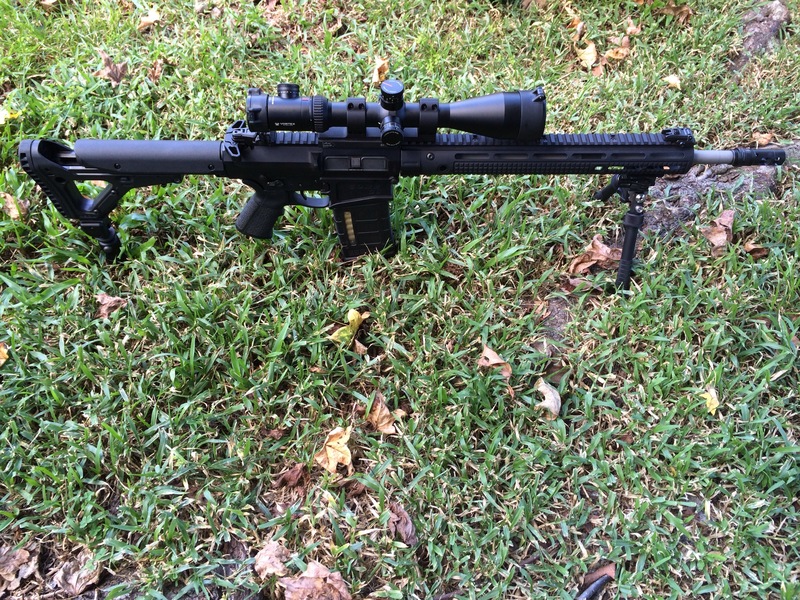 I have been doing much drooling over the Larue Tactical 18″ barreled PredatOBR but the nearly$3,400 price tag put it a bit out of my current ballpark. 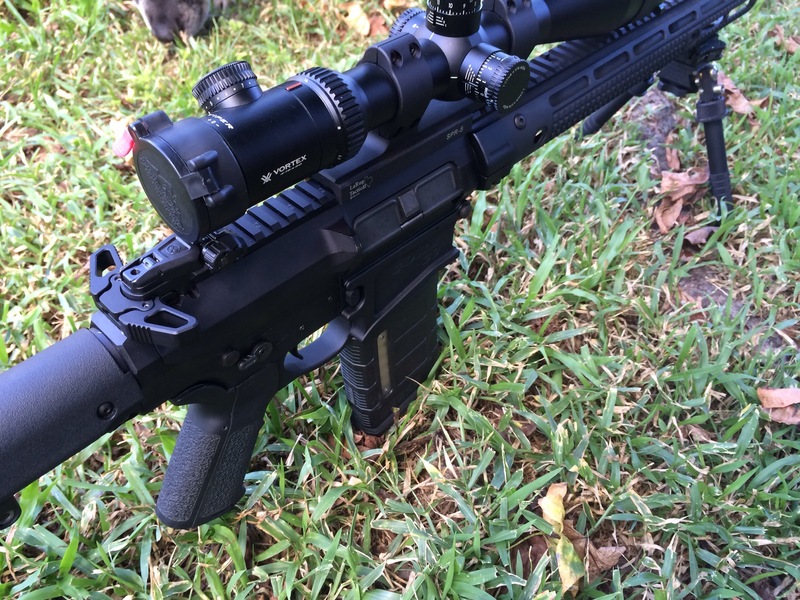 Then someone mentioned a fairly new entry to the rifle market made by a company here in Florida that is probably better known for its airboat manufacturing business… Good Time Outdoors, Inc.
To gun owners, they are know as Core Rifle Systems. 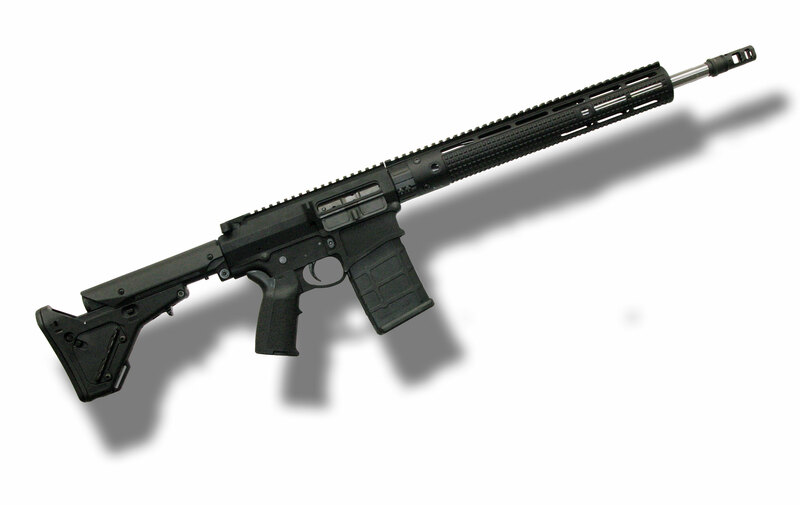 The Core30 TAC LR is their flagship .308 and on paper at least, it has a lot going for it. If I were building up my own .308 AR, these specs and components are almost exactly what I would be using. With an MSRP of about $2,800 and a street price closer to $2,000 for a match grade rifle, the deal looked too good to ignore. So, I ordered one. One of the first things that I noted as odd about the rifle is that it lacks the M4 style feed ramps cut in to the upper that I have seen in online reviews of this model. It also has a black anodized barrel marked “C30 308 1/10”. The ones I have seen reviewed had a barrel with a stainless bead blasted finish. Personally I prefer the black finish but I wonder if this is the same match grade barrel that was advertised. But as long as it shoots accurately and reliably, none of that matters much to me. The lower is a work of art. So, off to the range I went and it all came unraveled… In the 25 total rounds fired I had about eight or nine stovepipe failures to eject. Accuracy was not all that great but that may have been completely my fault because I was constantly fighting malfunctions. 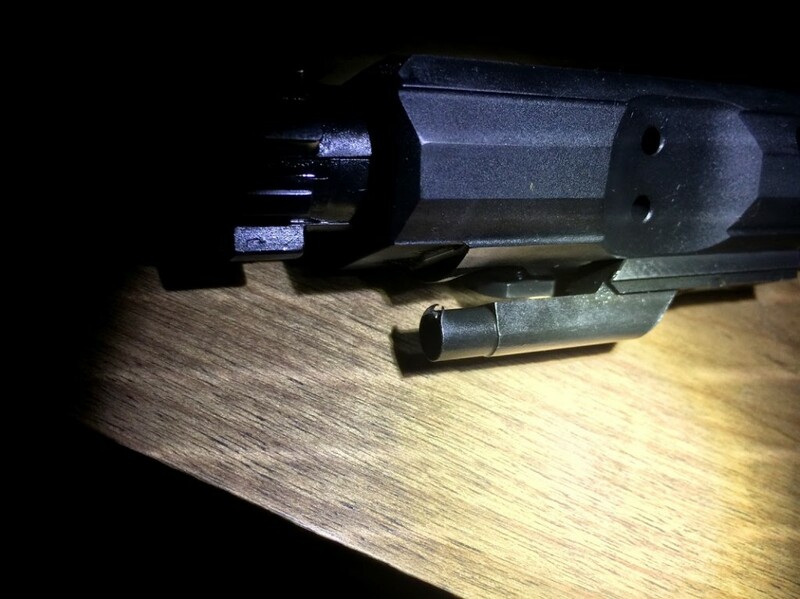 On the last incident, the next live round somehow rode up above the spent stove piped casing. This apparently bent the end of the gas tube down slightly. So, not knowing that the tube was now bent, I clear the malfunction, lube up the rifle, and smack the bolt release. The round chambers but the bolt does not go all the way forward. Not good. The gas key impacted the bent gas tube causing damage to the gas key on the BCG thus preventing the bolt from locking. So I left the range with my new rifle’s busted BCG sitting in a pocket of my range bag and wondering what was wrong with the rifle that could cause this. Looking down through the hand guard, it appears that the gas block is out of alignment. I suspect that this under gassed the gun causing the malfunctions that ended up damaging the gas system. 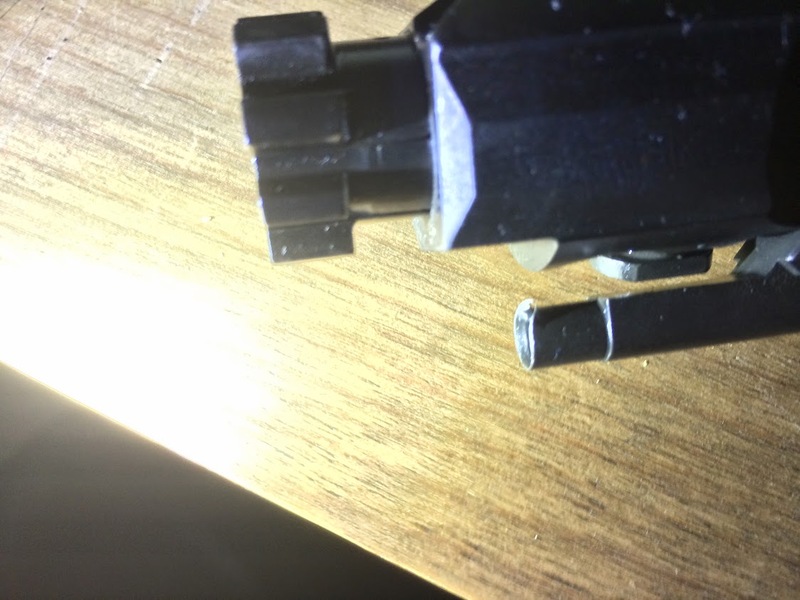 The back of the charging handle was also gouged a bit by the rear of the gas key. The forearm’s top rail T mark numbers also don’t match the upper receiver’s T mark numbers. 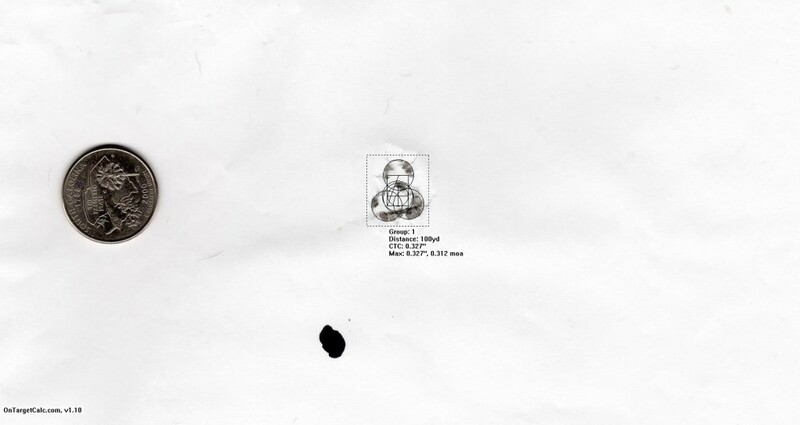 I assume that this is why the forearm’s T marks were blacked out. Adding a small bit of insult to injury, all of the screws holding the top rail on to the hand guard also came loose. I rotated one of the screws the rest to the way out and it’s obvious that no thread locker (loctite) was used during assembly. I took care of that in short order but really shouldn’t have needed to. Nitpicky? Maybe, but it’s a $2,800 rifle. I expect better attention to detail, assembly and QC. Now, this is not my first rodeo with getting a dud gun. I’ve had bad out of the gate Colts, Springfields, Kel-Tecs. and Glocks that were all fixed right by the manufacturer and provided years of reliable service. (I sold the Kel-Tec but the new owner reports no issues.) What really matters most to me is how a company responds when things do go wrong. I filled out Core’s online warranty claim form Sunday night and Monday morning I received an email from their warranty rep. with a reference number and the address to ship the rifle to. They should get the rifle tomorrow. Core is either about to make a customer for life or be written off as an expensive mistake that I’ll never make again. I have high hopes though! It really is a beautiful rifle. Below is his post in its entirety. My responses are in red. 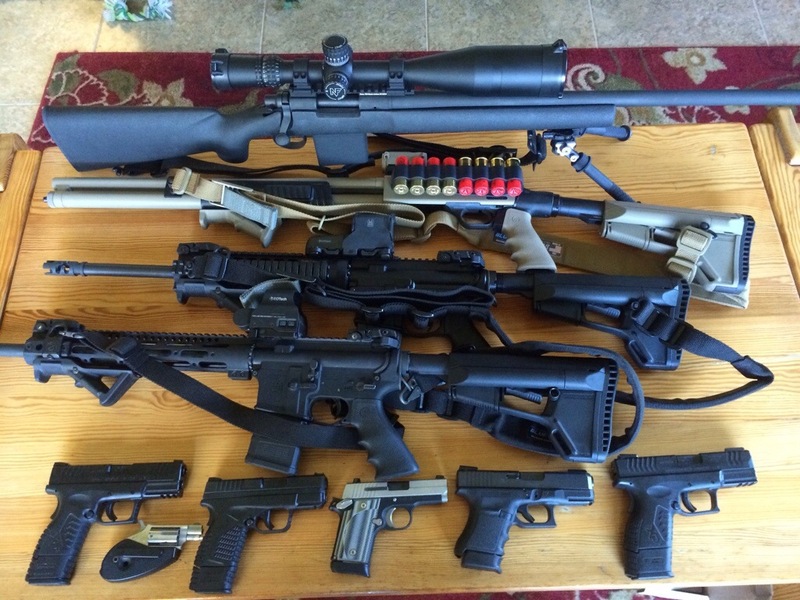 An Analysis of Florida’s Alleged “pro-gun” HB 89 – and the Problems it has Created. Copyright by Jon Gutmacher 2014 – All rights reserved. Point by Point analysis published here under Fair Use. The legislature finds that persons have been criminally prosecuted and have been sentenced to mandatory minimum terms of imprisonment… for threatening to use force in a manner and under circumstances that would have been justifiable under chapter 776, Florida Statutes, had force actually been used. An unfortunate misunderstanding of law, and worse mistake on choice of wording. The main problem with this section is that Florida law, thru case decisions rather than statutory law, already includes threats as the use of “non-deadly force”. See, Stewart v. State, 672 So.2d 865 (Fla. 2DCA 1996); Rivera v. State 871 So.2d 953 (Fla. 3DCA 2004). Thus, there was no need to add it into the statutes in the first place. The other problem is that by using the language “had force actually been used” – will likely be interpreted by the courts as not allowing a threat of force greater than the amount of actual force that could have been used in the same situation, had force been used. This is a statement of legislative intent. In order to get to this language a court would first have to determine that there was a lack of clarity in the statute. If it decides there is a lack of clarity it would have to look at this section and the legislative history to determine what the legislature was trying to do. Since as the author points out there was already law regarding the difference between displaying a firearm and firing a firearm, the legislature must have meant something new. It is a well-established canon of statutory construction that a law should not be interpreted in a way that makes it meaningless. Numerous examples were provided to the Legislature. A prime example was the firing of a warning shot by an elderly man, in defense of his elderly neighbor, against persons who entered and remained in her house without authorization. Yet the man was sentenced to prison. The Legislature intends to provide criminal and civil immunity to those who threaten to use force if the threat was made in a manner and under circumstances that would have been immune under chapter 776, Florida Statutes, had force actually been used. b. Clarify that those who threaten to use force may claim self-defense if the threat was made in a manner and under circumstances that would have been justifiable under chapter 776, Florida Statutes, had force actually been used. That may mean you lose immunity, maybe have to retreat, or both – if you make a threat of force greater than you could actually have used at the time the threat was made. If this is what the courts decide, we’re all in for big trouble – because the law prior to this would be that there is no duty to retreat in a non-deadly force situation [Keith v. State, 614 So.2d 560 (Fla. 1DCA 1993)], and that a threat is lawful self defense to stop or prevent unlawful conduct, as long as it is “reasonable” under the circumstances. See, United States v. Black, 692 F.2d 314 (4th Cir. 1982). The one exception would be where a “warning shot” is involved – as Florida case law has consistently held that a warning shot is the use of “deadly force” – thus – can only be used where there is a reasonable fear of imminent death or great bodily harm, or such appears reasonable and necessary to stop the imminent commission of a forcible felony. Again this is intent language. Nothing in the substantive part of the statute in any way indicates a duty to retreat for persons not involved in criminal activity. The problem here is that a court will rarely make such findings because if the defendant is already convicted – it will normally be “politically incorrect” to find he or she used self defense in “good faith”, or does not pose some kind of “future threat” to society. Moreover, “good faith” is not defined by the Legislature, and there are too many variations of what it might be, or how a Florida appellate court will eventually define it. Personally – to me “good faith” is a subjectively honest, but mistaken belief that the force or threats used were necessary to prevent or stop what the defender perceived as unlawful conduct of another. So – while there is always a chance this might help an occasional defendant – the section will likely leave most folks out of luck – even if subjective good faith was used. This is the first substantive change in the statute. First let’s address that no Court will make such findings. Several judges have stated in open court in minimum mandatory cases that the minimum sentence is not appropriate for that case but that the judge is bound by the statute. When one judge challenged the law, he was overturned by the trial court. When the Judge insisted that the prosecutor Angela Corey, be personally present for the imposition of sentence she was demanding, she had the Judge recused from the case. Good faith is repeatedly used in Florida law to deal with liability for things ranging from mandatory reporting requirements, or assisting the elderly. It is also already applied in 3 different statutes in Chapter 776, the chapter that deals with justifiable use of force. It is not a standard unfamiliar to the Florida Courts, that there will be a struggle how to apply. This revives a long established doctrine that had been repealed by the legislature known as imperfect self-defense. In cases where a person in good faith mistakenly believed their conduct justified, they will no longer be subjected to the minimum mandatory even if they are convicted. 1. A person is justified in using or threatening to use force, except deadly force, against another when and to the extent that the person reasonably believes that such conduct is necessary to defend himself or herself or another against the other’s imminent use of unlawful force. A person who uses or threatens to use force in accordance with this subsection does not have a duty to retreat before using or threatening to use such force. Analysis: Well . . . it says you can only use or threaten to use “non-deadly force” to the same extent you believe it is necessary to defend against another’s imminent use of “unlawful force”. The literal translation is that you can only threaten to use “non-deadly force” in a non-deadly force situation. If instead, you happen to threaten the use of deadly force – you’ve probably lost any immunity you might otherwise have had under the self defense statutes, you may just have used “excessive force” as a matter of law, and you might just have to retreat first before you could legally “threaten” using any type of self defense beyond the degree of force you could actually had used, if you had used force! There are two problems with this analysis. First the whole statute must be read in pari materia, or as a whole. Second the statute should not be read in a redundant manner, or to lead to an absurd result, or in a way that makes a portion of the statute unnecessary. Sec. 1 deals with cases where non-deadly force is authorized. Sec.2, below deals with cases where deadly force is authorized. Identical language was added to both sections. IF as the author claims this is confusing or unclear in some way then we must look to the legislative intent and the policy statements at the beginning of the bill. No person can argue with a straight face that the Legislature’s intent in this bill was to restrict the use of force, or threat of force. Clearly the entire bill is designed to grant additional protections to those who are required to defend themselves. The interpretation the author is concerned about would violate that clear legislative intent. Repeatedly, prior to this law, there were persons who displayed a firearm in self-defense. The response of prosecutor’s and courts was that the display of the firearm escalated the situation, or was not reasonable. Was there a better way to word this statute? Yes. Does it leave us any worse off? No. Will we try to amend it if it proves ineffective? Absolutely! Moreover, the statute requires your use of any threat to be premised not just on another person’s unlawful conduct – but their conduct must be aimed to use unlawful “force”. Certainly, not every type of crime requires force being used to accomplish it. So – will the courts say you can’t use or even threaten non-deadly force to stop a non-violent felony, or misdemeanor, or will “force” be equated with any type of conduct, whatsoever? Based on current Florida decisional law — I’ll vote for the last interpretation. However, if they chose the first one — your permitted language will be restricted even if it would otherwise have been totally reasonable under former law! The objected to language, that their conduct must be “aimed to use unlawful force” is the language that already existed prior to the amendment. This is not new language, so the current decisional law must remain in effect. If you could use non-deadly force before, you may now use actual non-deadly force, or you may threaten to use force by displaying a firearm. So . . . what do I think the courts will do in this situation? Well, I think they will be hard pressed to find that a threat of the use of “deadly force” will be permitted in a situation where only non-deadly force could have been used. The statutory language is too clear. If I’m right in this interpretation – I think a threat of deadly force in a non-deadly force situation will cost you your “immunity” – but otherwise not effect you. And, while it is possible, I think the courts would be hard-pressed to find that a simple threat short of amounting to an “assault” would be “excessive force” if it otherwise seems “reasonable” under the circumstances. To do so would turn a hundred years or more of case law on its head. But, whatever the courts will do – the statute is miserably worded, and needs to be amended in the next legislative session. As usual, I humbly offer my talents to the Legislature or any of the sponsors – for free to help to review or assist in any drafting of any pro-gun legislation. Although, quite frankly – I know the chances of that happening are about the same for the proverbial snowball in Hell. Here we can agree, that no statute is perfect. If they were much of the work of the Courts and lawyers would be unnecessary. It took several years, and a major revision of the statute just to make the courts understand the concept of secure encasement in a vehicle. I do not expect this to be any different. Is it possible some will still not be protected by the new law? Yes. Florida Carry, Unified Sportsmen of Florida and other organizations worked many hours on this bill along with practitioners who are in the courts every day dealing with these issues. Unfortunately, with our system of law, sometimes you have to take the best you can get and when the courts screw it up, you go back to the Legislature and show how the language was misinterpreted and what is needed to fix it. Of course we always welcome constructive criticism, and the assistance of anyone who would like to contribute. A person who uses or threatens to use deadly force in accordance with this subsection does not have a duty to retreat and has the right to stand his or her ground if the person using or threatening to use the deadly force is not engaged in a criminal activity and is in a place where he or she has a right to be. OK . . . if you thought any of the previous sections were bad – wait until you see this next subsection (2) of Section 3. Subsection (2) is the true killer of nine years of pro-gun progress in the Florida appellate court system! It has rendered meaningless all the really great recent case law that found that Florida Statute 776.012 was independent of the problems and heavy burdens in Florida Statute 776.013. See, State v. Wonder, 128 So.3d 867 (Fla. 4DCA 2013). It is a testament to how little the sponsors of this bill, its supporters, and the rest of the Legislature understood the law, or the self defense statutes! It is, in one word, just plain: “shameful”, and more so because they’d been warned by me that the language would have that effect, and still totally ignored the warnings. So – what do these changes mean, and what can we expect? First, it confirms my interpretation that a threat of using deadly force may only be used if the defender has a reasonable belief that such is reasonable and necessary to prevent imminent death or great bodily harm, or prevent or stop the imminent commission of a forcible felony. In other words – since this subsection says you can only use the “threat” of deadly force to stop or prevent deadly force (or a forcible felony) – then it also means that the Legislature really did mean what it said in the earlier subsection: that you can’t threaten deadly force in a non-deadly force situation. A really stupid, senseless piece of drafting that will cause all sorts of problems for anyone involved in a possible self defense situation, or situation where they are trying to prevent a non-violent crime. In essence, the drafters of this law were unable to understand the legal distinction between what constitutes a “threat” vs. what constitutes an “assault” – mixed the two up – were totally oblivious to the fact that if a threat is “reasonable” it should be lawful no matter what – and came up with this total messed up amendment to a statute that was working perfectly fine without it. In other words – they all screwed it up, royally! The original drafters were eminently clear on the difference between a threat and an assault. Unfortunately the analysis of the Courts and prosecutors, considered every threat of force with a firearm to be an aggravated assault with a minimum mandatory. If you did not have grounds to shoot the person, a display of a firearm would result in a minimum mandatory. It is hoped that this bill will cure that defect. If it does not cure the defect, Florida Carry will bring that before the Legislature and request an amendment. Unfortunately, sometimes the only way the Legislature sees a need to act, is after an adverse court decision. The next thing this subsection screwed up are situations where the use of deadly force was absolutely needed, and permitted – but will now go back to pre-2005 law, and require retreat. Yes – you heard me right – retreat! This will occur if you are somewhere you might not be lawfully (e.g. – you’re trespassing at some park after it closes – and somebody tries to rob you at gun point), or if you happen to be involved in some criminal enterprise, no matter how small (e.g. – same scenario as the last – but add smoking a joint, or sitting in a parked car DUI – and somebody tries to rob you, etc.). Under this new version of F.S. 776.012 you must RETREAT before using deadly force (if you could retreat with safety) if either of these situations exist. That’s right – retreat! No “Stand Your Ground”! Thus, the most likely interpretation by the courts will be a throw-back to pre-2005 Stand Your Ground, and will result in a situation where anyone claiming immunity and self defense under F.S. 776.012 (or any other section) who uses, or even threatens the use of deadly force, and is not in a “place where they have a right to be”, or are engaged in any type of behavior that could be considered “criminal” – must first retreat – if they can do so in safety – BEFORE making either a threat of using deadly force, or before using actual deadly force. And while the courts will likely agree that extending this situation to a mere threat of using deadly force is just plain stupid – the courts will also likely say that is clearly what the wording in the statute requires, and if the Legislature doesn’t like the interpretation – then the Legislature should revise the statute! In other words – stupid wins! Exactly what I tried to warn everyone about when they started amending the original bill! The amendment does require persons engaged in “criminal” conduct to retreat. There has been a split of authority. That the Supreme Court may address soon, but has not yet considered. One DCA has held that a person acting in self-defense under Sec. 776.012 could stand their ground even if engaged in the unlawful activity prohibited by Sec. 776.013. Other DCAs have said that not only can you not stand your ground if you are engaged in unlawful activity, but have no right to immunity. Under this amendment, if you are engaged in criminal activity you will now have a duty to retreat. Arguably, and according to the Governor’s task force that examined the law, the legislature has always had the goal of reserving no duty to retreat for law abiding citizens, not drug deals gone bad. To briefly address the DUI argument. Is the State going to argue you could have driven off? Are they going to argue you have to endanger others by actually driving drunk, rather than defend yourself from a criminal attacker? Angela Corey might, but I would love to try that case. Section 4. Subsections (1), (2), and (3) of section 776.013, Florida Statutes, are amended to read: 776.013 Home protection; use or threatened use of deadly force; presumption of fear of death or great bodily harm. The revision doesn’t change this part of F.S. 776.013 all that much except for the inclusion of “threats”. But, since this section deals solely with the use and threats of deadly force, and presumptions attached to them, it is significant that the language used in subsection (1) is very different than that used in F.S. 776.012, and had it been used in 776.012 would have been substantially more favorable to a defender using only a “threat” – as the statutory wording “when using or threatening to use defensive force that is intended or likely to cause death or great bodily harm” allows just about any type of threat – because a threat – even one coupled with an aggressive display of a firearm – cannot be intended or likely to do much of anything other than frighten the other person – and certainly cannot “cause death or great bodily harm”, unless it is a warning shot. Subsection (2) of Section 4 of the legislation also addresses only F.S. 776.013, and makes few changes over the previous statute other than the inclusion of “threats”, and changing the wording “unlawful activities” to “criminal activities”. The revision and amended subsection does not, in my opinion, constitute a significant change. However, it is clear that by eliminating the language requiring the defender to be “in a place where they have a right to be”, and also to not be engaged in any “unlawful or criminal activity”, and instead citing to the new sections in F.S. 776.012 that have those exact requirements – it makes crystal clear that the requirements apply to both sections equally, despite the huge problems this creates for defenders who previously could use F.S. 776.012 without these additional onerous requirements. The change from unlawful conduct to criminal conduct is a significant change. This language was actually requested by the Governor’s task force, and was universally requested by all parties to make clear that a person selling Avon from her house without a business license could still stand her ground. The worst fear of the legislature and the organizations supporting stand your ground is a bad guy getting away by using stand your ground even when engaged in criminal activity. The Legislature wanted to make sure that did not happen. (d)The person against whom the defensive force is used or threatened is a law enforcement officer, as defined in s. 943.10(14), who enters or attempts to enter a dwelling, residence, or vehicle in the performance of his or her official duties and the officer identified himself or herself in accordance with any applicable law or the person using or threatening to use force knew or reasonably should have known that the person entering or attempting to enter was a law enforcement officer. (3) A person who is attacked in his or her dwelling, residence, or vehicle has no duty to retreat and has the right to stand his or her ground and use or threaten to use force, including deadly force, if he or she uses or threatens to use force, in accordance with s.
776.012(1) or (2) or s. 776.031(1) or (2). (1) A person is justified in using or threatening to use the use of force, except deadly force, against another when and to the extent that the person reasonably believes that such conduct is necessary to prevent or terminate the other’s trespass on, or other tortious or criminal interference with, either real property other than a dwelling or personal property, lawfully in his or her possession or in the possession of another who is a member of his or her immediate family or household or of a person whose property he or she has a legal duty to protect. A person who uses or threatens to use force in accordance with this subsection does not have a duty to retreat before using or threatening to use such force. 1. You can only threaten to use deadly force, or actually use deadly force if you reasonably believe such conduct is necessary to stop or prevent a forcible felony! 2. However, if you are not “at a place where you have a right to be” – just like the revisions to 776.012 and 776.013 – you need to retreat first before either using a threat of deadly force . . . or the actual use of deadly force. There is nothing in any of the amended language that requires a person to retreat prior to threatening the use of force or actually using force. It would be absurd to argue that after the great lengths the legislature has gone to throughout Chapter 776, to void any duty to retreat for law abiding citizens not engaged in criminal activity, which it impliedly created a duty to retreat. Of course if you are at a place where you do not have a right to be, why would you be entitled to use deadly force if you can retreat first? Again this recommendation came from the task force that requested clarity on what type of conduct would void no duty to retreat and wanted to make clear that the law was intended to protect law abiding citizens, not criminals. The clarifying case law that allowed each section to work independently was opposed by the legislature to the extent that it allowed criminals to claim the protection of no duty to retreat. All bills are a product of compromise. Similar language was contained in other bills that would have gutted SYG. This was the better bill. The problem with the section has always been that the term “aggressor” has never been defined in the statutes, and case law tends to hold that before you become an aggressor you must either be performing an unlawful action (ie: trespass, theft, breach of the peace, etc. ), or if the threats are merely by words, then words or actions alone short of creating a reasonable fear in another of imminent violence (ie: an “assault”) do not make you the “aggressor”. However, by adding the words “the threatened use of force” to the mix – the Legislature just turned the case law on its head – because now, words alone that “threaten” force – even if the threat is conditional and not imminent – can make you the aggressor! Thus, a situation involving an argument where one individual says to the other: “If you come any closer, I will hit you” – has now made the individual making the verbal threat to use force – the “aggressor” – even if the other guy started everything, and wouldn’t lay off, that is: so long as the other guy didn’t make a threat of using force, first. Again – just plain stupid. And again, a total failure of the Legislature and supporters of the amended bill to understand what the implications of the wording would legally mean. I will not say this is impossible, because certain prosecutors become very inventive when necessary, but I think it is highly unlikely. Again the clear intent of the bill and the new language is additional protections for law abiding citizens, not less. Section 8 of the new law concerns F.S. 776.051, which pertains to use of force in resisting arrest. Although it adds “threats” into what a citizen can’t do – my opinion is that it makes no substantive change in the law, hence I am eliminating it from further discussion in this article. Subsection 9 is unchanged, and I also therefore eliminate it from discussion. However, law enforcement should note that since the wording of the this subsection clearly says that “The firing of a firearm in the direction of the person to be arrested, even though no intent exists to kill or inflict great bodily harm” constitutes “deadly force” – the use of any type of non-lethal ammo fired from a firearm – will always be the use of deadly force, no matter what. Sec. 776.06 which is amended by subsection 9 of the bill. Had he gone back and read the statute he would have seen the following language which was untouched and remains in the bill. And please note once again that good faith is a legal standard already very familiar to the legislature. Section 10 of the legislation creates F.S. 776.09 to facilitate an expunction of record where a case was dropped by the State Attorney or Statewide Prosecutor, or dismissed by the court. Subsection (1) applies to those rare instances where the State actually drops a charge on the basis of self defense vs. offering a plea bargain to a lesser charge. If so, this section requires such a finding be documented in writing in the prosecutor’s files. As a practical matter this will rarely happen as the State normally would offer a plea bargain to a significantly lesser charge, or just say they didn’t have “enough evidence” to go forward with confidence, rather than concede self defense. Rarely, will they ever admit the initial arrest and/or prosecution was just plain wrong! In forty years of practice I only saw that happen once. So, for the most part – this section is just pure illusion based the Legislature’s ignorance on how things really work in the criminal justice system. Again, the legislature showed its intent to do exactly what the author suggests, however the FSA and the State Attorneys are a powerful force in Tallahassee. When this language was negotiated there was no doubt that the prosecutors would abuse and misuse this statute and fail to make the necessary findings. However the legislature is very good about correcting such problems. As soon as it can be demonstrated that the SAOs are avoiding opperation of this section we will be back asking the legislature to clarify what we could not get this time. Subsection (2) applies to where the court dismisses a case based upon a finding that a defendant used lawful self defense. In other words – where the defendant wins a “Stand Your Ground” pre-trial hearing. In such a situation, the judge must make a written finding that the dismissal was due to the use of lawful self defense, and that finding is kept in the court records. Subsection (3) states that if either of the predicates in the previous subsections occur, then the defendant may apply for an expunction. However, if you’re really sharp, what you will find lacking in any of these sections is what happens if a case goes to trial and the jury finds the defendant not guilty – where the defense was self defense? In such an instance – you’re out of luck! No expunction! The Legislature doesn’t trust juries, and made that clear in previous versions of the expunction statute. Although a dismissal by the State or Court will allow an expunction – a “not guilty” verdict by a jury of your peers does not! The Legislature doesn’t give a jury verdict the same value. So much for the Constitution! Thanks a lot! Please see the previous statement. We have lost our rights by increments, we will not get them back overnight. Section 11 amends F.S. 943.0585, and adds a subsection (5) to that statute which then sets forth the procedures for obtaining the expunction permitted in the previous Section 10. Since the procedures involved are not within the purview of this article, I will leave that for someone else to describe. So, that’s it for my analysis of this ill-advised piece of legislative garbage. Maybe if we’re lucky – they’ll admit maybe they made a bad mistake, and revise it in the next legislative session. Go write Marion Hammer at Unified Sportsmen of Florida on that. She led the charge for the current bill – she can also lead the charge to correct it. However, one final word on this legislation. Aside from everything else – what the changes have also done is complicate self defense to such an extent – that anybody trying to use it will likely be confused – especially if any type of verbal threats are involved. It took me two weeks of work to figure this thing out – and I do this stuff 24/7! Also, what you and the Legislature need to understand is that – a “threat” can be totally lawful if made in response, or to stop unlawful conduct of another! Verbal threats even more so. But, this legislation made no distinctions. In fact, had the Legislature just used language that a threat of using force or deadly force is lawful if it appears “reasonable” — would have solved everybody’s problems without having the legislative mess we now have. Mistakes? NO! Imperfect? YES! Florida Carry, in cooperation with many other stake holders will continue to monitor the problems that arise and will continue to work to right them through both litigation and legislation. We will never do anything that harms the right of self-defense of law abiding citizens. This includes allowing language that protects criminals and results in a backlash against the right of self-defense. Anyone that wishes can see the lobbying reports showing the amount of money spent on the many victories achieved in Tallahassee this session, though the dedication and hard work of USF, Marion Hammer, and Florida Carry. What they will not show is the numerous hours contributed by volunteers and citizens to make the law a little better. I was personally in Tallahassee for every hearing on HB 89. I never saw the author there. Your honor, which ones do you plan to take from me?